Accelerate your productivity An ultra-portable laptop with full desktop connectivity options means compromises aren’t part of your schedule. 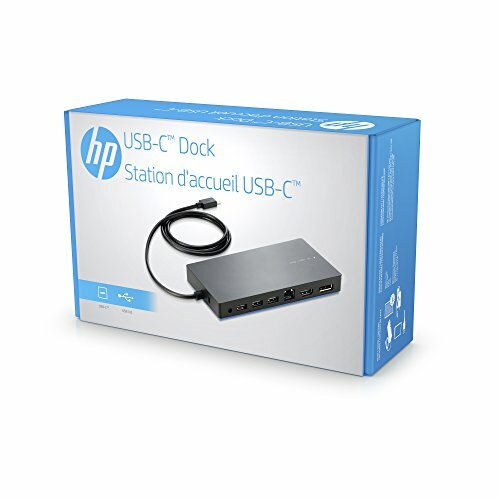 Sit down, dock in, and get a serious boost in productivity with the ability to connect to multiple displays, lightning-fast wired internet, multiple external hard drives, and other USB devices. One cable for your laptop - Easily connect/disconnect laptop as needed using a single cable. Connect to two displays simultaneously - Some ports won't power both. You can connect to HDMI and then to the DisplayPort and have two screens going on at once.